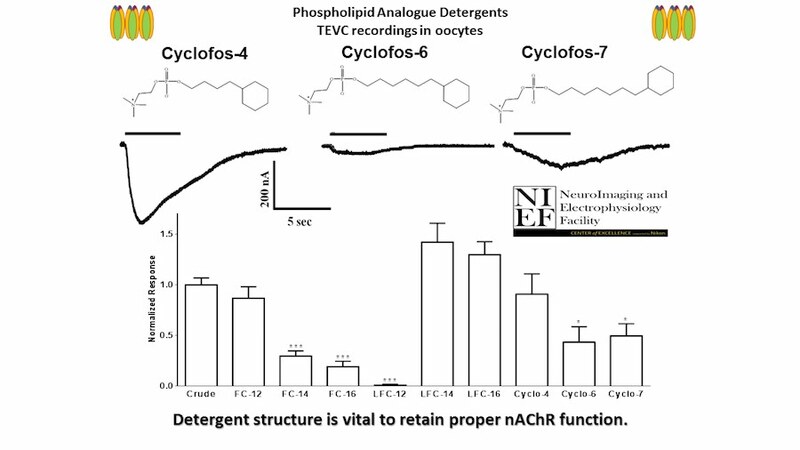 The nicotinic acetylcholine receptor (nAChR) is a prime example of a multimeric membrane complex that although is one of the most widely studied ion channels, its high-resolution structure has remained elusive. 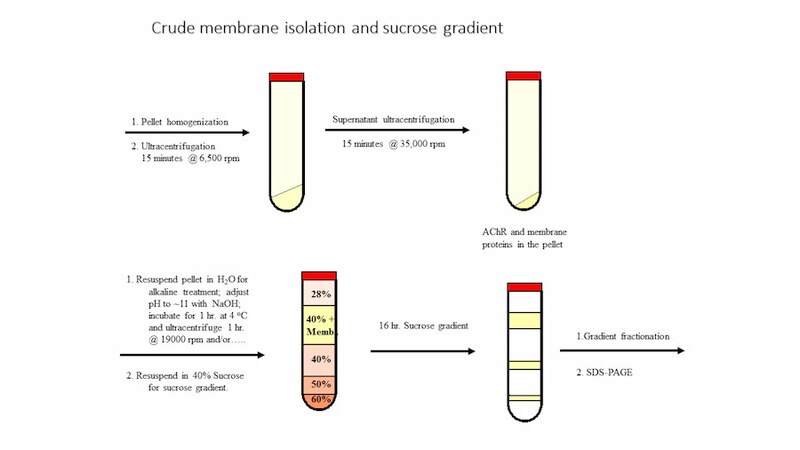 These receptors are important as the biological target for the therapeutic development is in a great number of diseases such as the Alzheimer’s Disease, Myasthenic Syndrome, Parkinson’s Disease, among others. 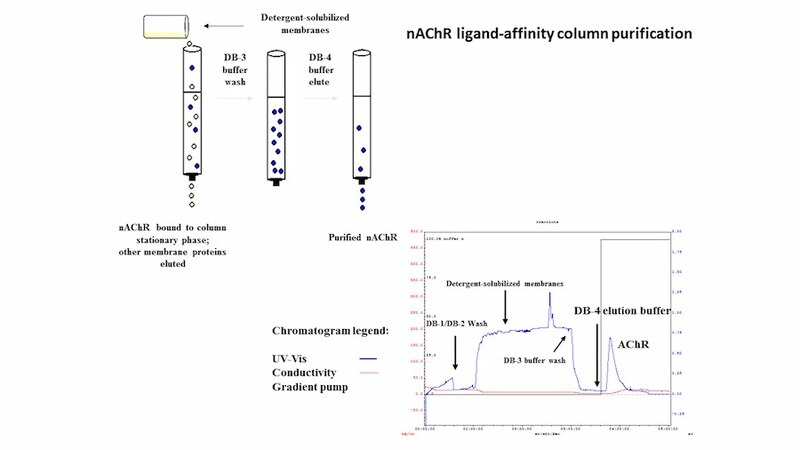 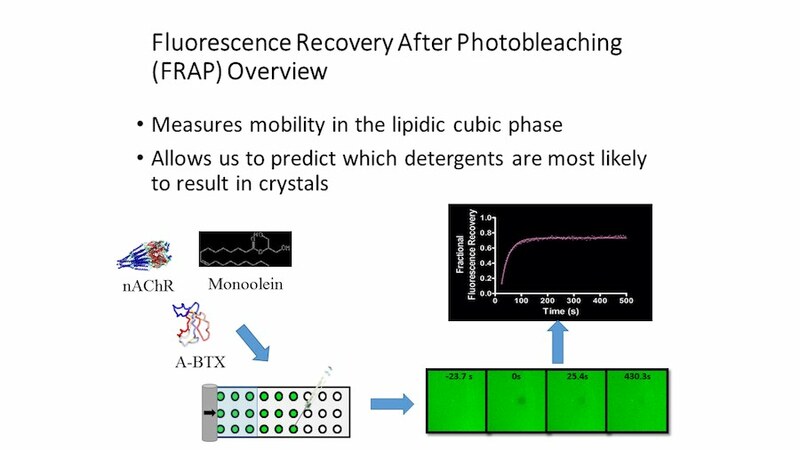 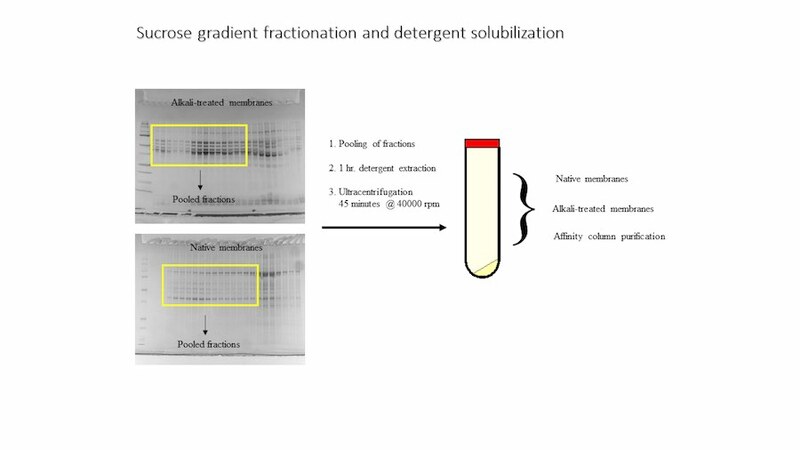 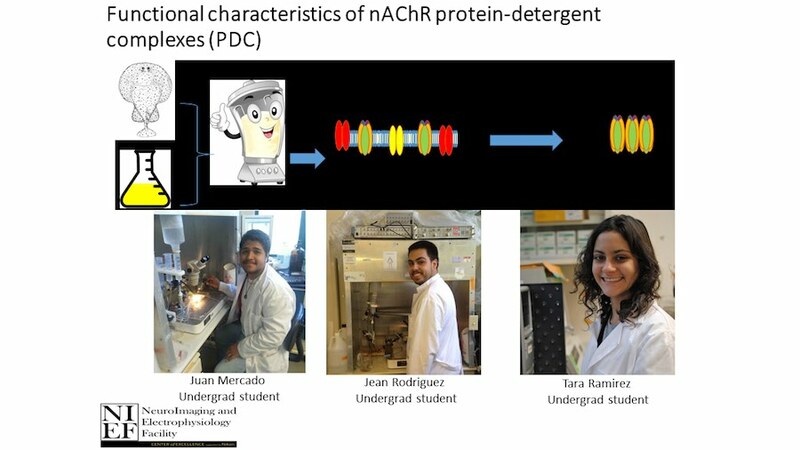 We have recently carried out lipidomics/activity studies with nAChR solubilized in different detergents that indicated that a comprehensive approach on detergent structure and solubilization conditions could provide important information on the preparation of functionally active complex membrane proteins for structural studies. 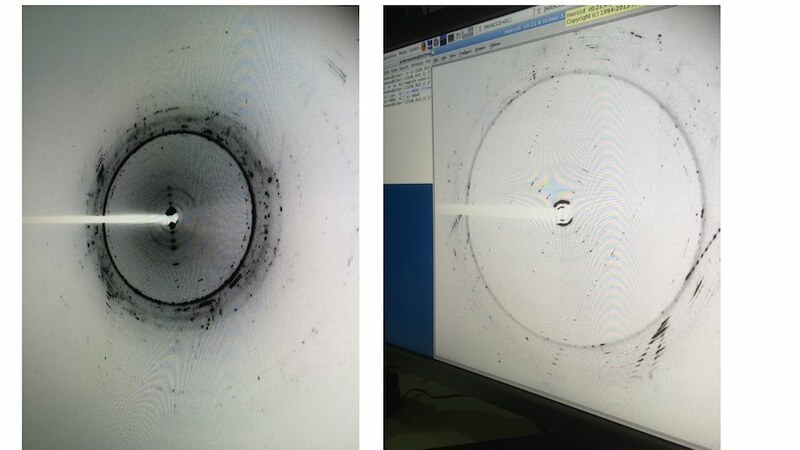 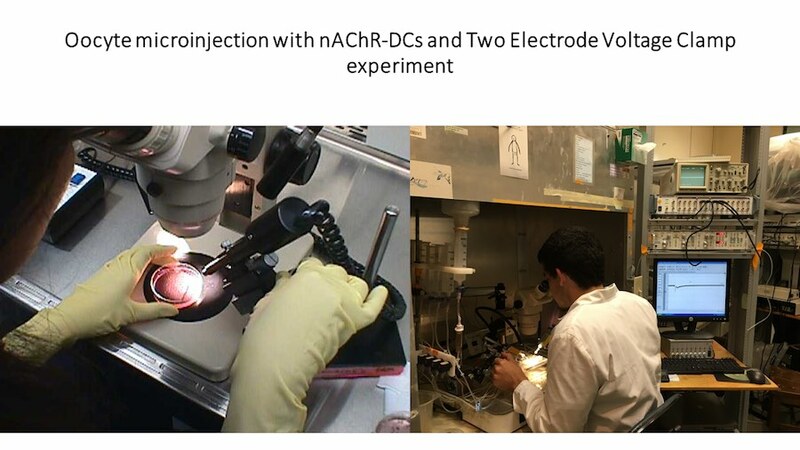 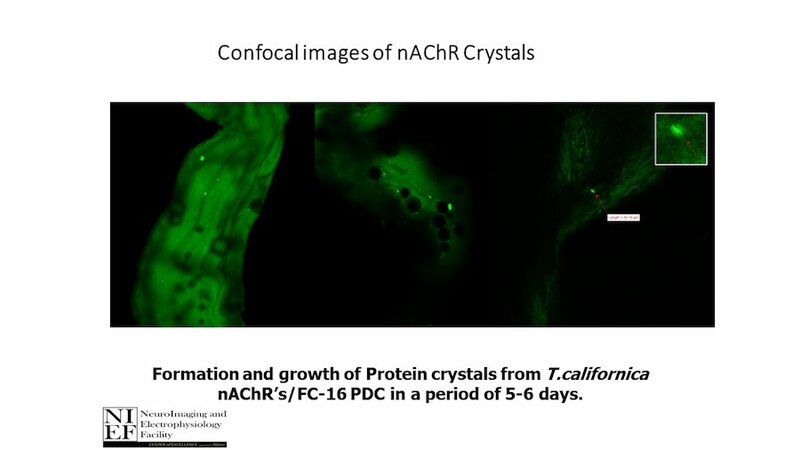 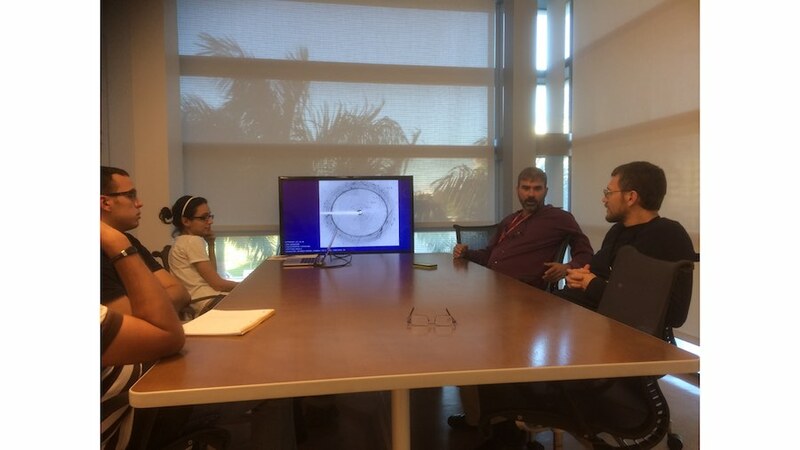 Using the aforementioned approaches our laboratory has prepared nAChR crystals for structural studies. 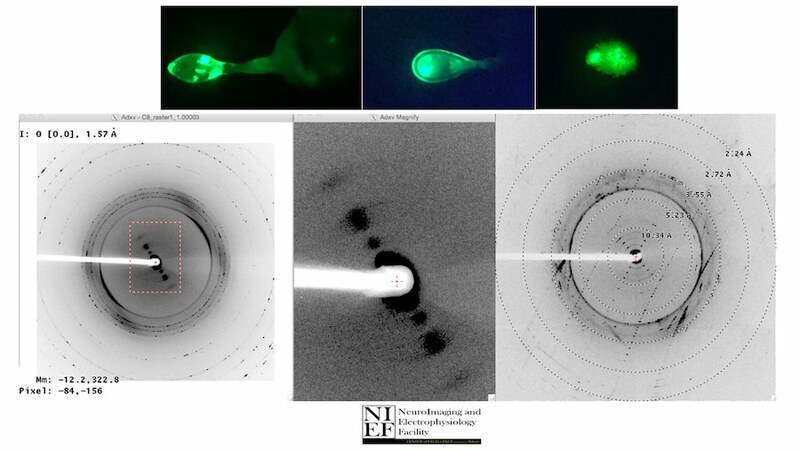 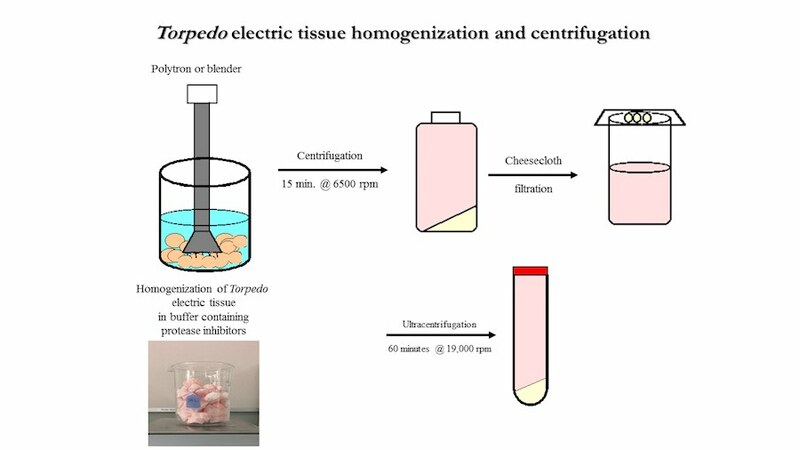 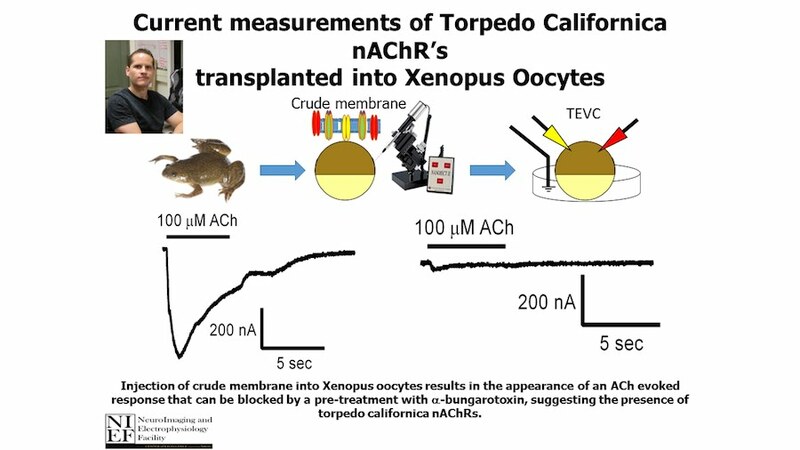 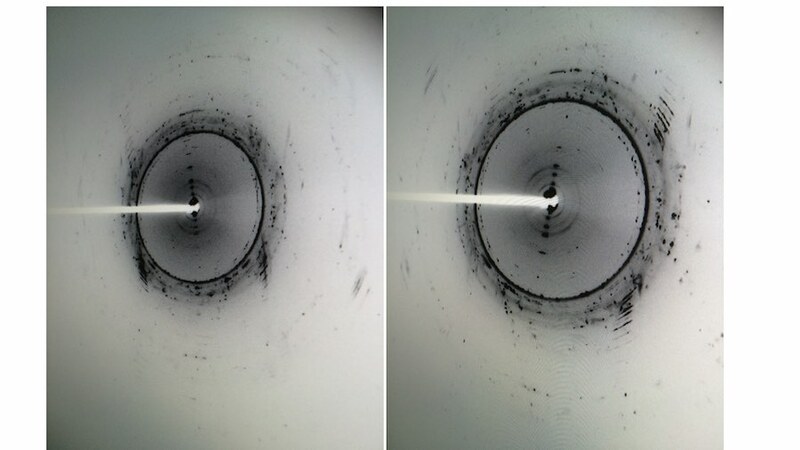 We extracted the protein from the tissue of Torpedo california, using LFC-16 as a detergent, followed by purification and concentration for crystallization trials. 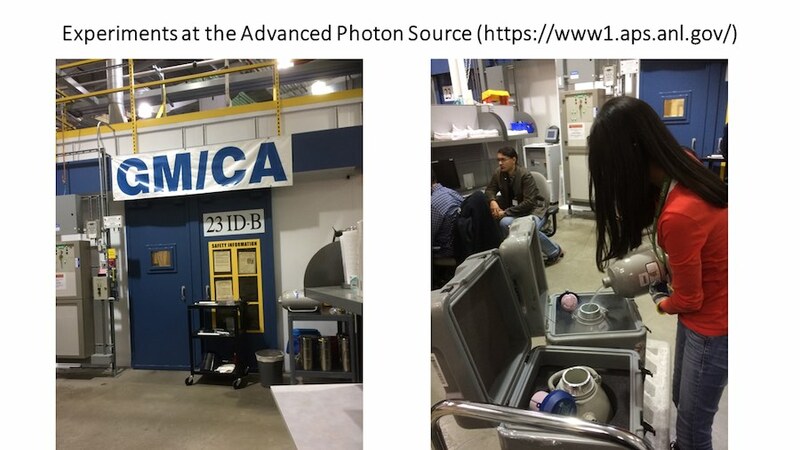 We have performed X-ray diffraction experiments using the GM/CA-23 ID beam line at the Argonne laboratory in Chicago (APS). 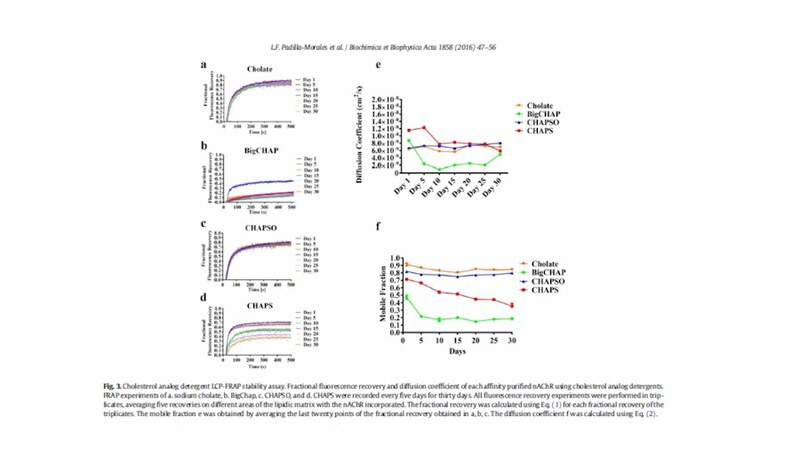 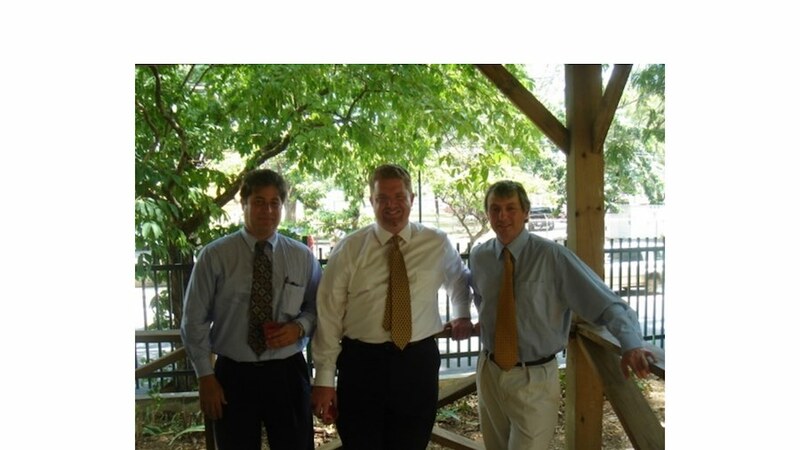 Also, in collaboration with CDI Laboratories Inc. (http://www.cdi-lab.com) we managed to prepare 17 monoclonal antibodies (mAbs) specifics for nAChR. 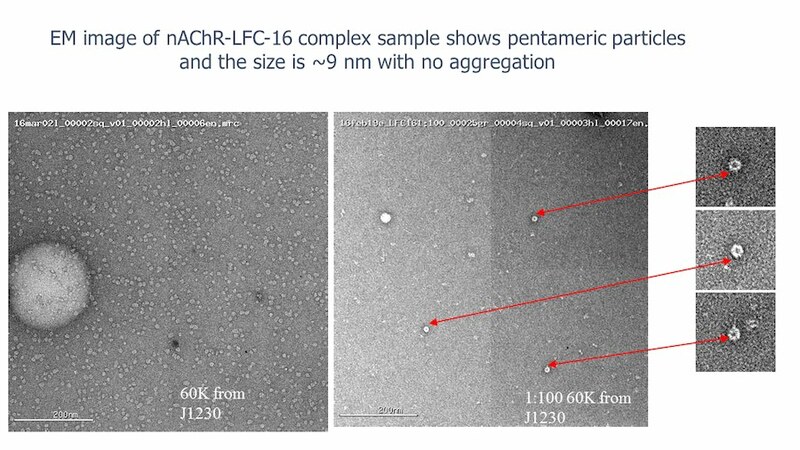 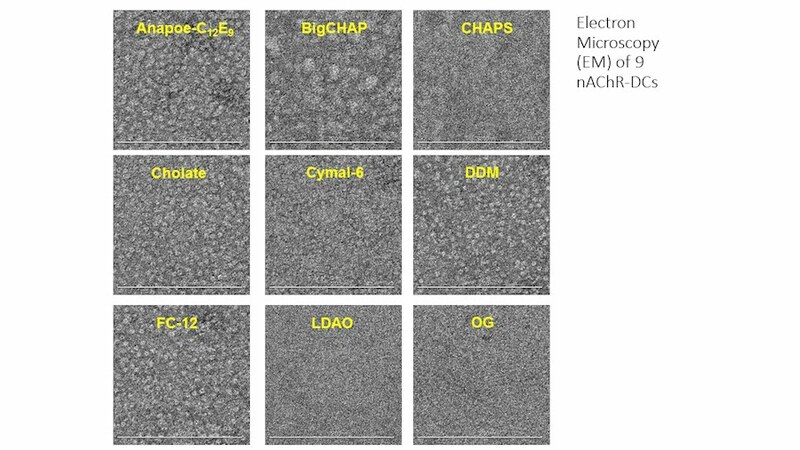 Our next goal is to use these mAbs to enhance crystal formation and also improve the quality of the nAChR crystal diffractions.